In this golden-age of critically acclaimed, binge-able scripted TV, the demand for pilot scripts and pitches for new series has never been higher. Still, for emerging screenwriters strategizing to engage and submit their scripts and pitch treatments, the route to getting a series produced can be challenging. Join our panel of industry insiders as we discuss a variety of routes writers take to get their work sold and discuss the viability of each approach. Dana Kuznetzkoff produced or managed such diverse projects from HBO’s pilot episode BOARDWALK EMPIRE to their acclaimed series THE WIRE and NBC’s SMASH. She was one of the producers with Doug Liman and Julina Tatlock of the first major scripted series designed specifically for 360-degree virtual reality, INVISIBLE and she recently completed, THE NEW YORKER PRESENTS for Amazon Studios which premiered at Sundance. In development, she is producing the limited series ANGELS with Jessica Chastain – a story of WWII’s hidden history – the little-known story of women in combat and David Gerrold’s sci fi epic masterpiece THE WAR AGAINST THE CHTORR. Soo Hugh is a television writer and producer who is currently working on a series adaptation of the international bestseller PACHINKO for Apple. Most recently, she was the co-showrunner for THE TERROR (AMC), the critically-lauded drama produced by Ridley Scott and starring Jared Harris, Ciaran Hinds, and Tobias Menzies. She also created THE WHISPERS (ABC), based on a Ray Bradbury short story, produced by Steven Spielberg, and directed by Mark Romanek. Other television credits include THE KILLING (AMC) and UNDER THE DOME (CBS). Naomi McDougall Jones – is an award-winning writer, actress, producer, and women in film activist based in New York City. 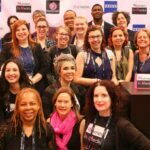 A scripted TV series she created, The Dark Pieces, is now in development at E1 after the pilot was named on The 2016 WriteHer List as one of the top 16 un produced pilots by a female screenwriter. She was a writer on Amazon’s scripted TV series The New Yorker Presents, which premiered at Sundance and for which she had the privilege of adapting Miranda July’s acclaimed short story, Roy Spivey. Jan Oxenberg – Jan’s feature film Thank You And Good Night premiered at Sundance in 1992, and is being re-released theatrically this in 2019 and will be part of the Criterion Collection. Oxenberg has been a writer/producer on 10 TV dramas including Once and Again, Cold Case, In Plain Sight, Pretty Little Liars, Kidnapped, Nothing Sacred, Chicago Hope, Roswell. She’s written pilots for ABC/Lifetime, Fx and AMC and is currently working on a pilot with David Shore, creator of House and The Good Doctor. She is a member of the Board of Directors of The Writer’s Guild Foundation and active in the foundation’s successful Veteran’s Writing Project, mentoring military veterans who want TV/film writing careers. Ticket includes prix fixe brunch, a mimosa or Bloody Mary, coffee and tea. Please fill out your meal order here. VIP tickets include seating closer to the stage and a VIP Gift Bag. 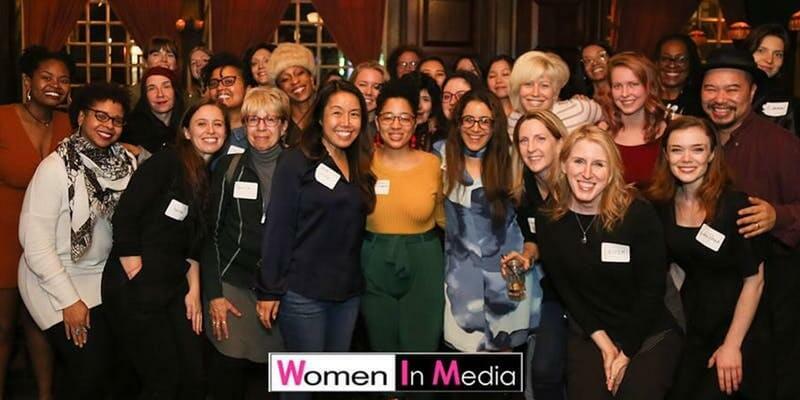 Women In Media members will be emailed a discount code. To apply for membership, please fill out the form.